The additional fields on the sidewall information area improve safety and comfort. During a tyre change, the information area can be used to record the correct inflation pressures, the usage location as well as the tightening torque of the wheel nuts. 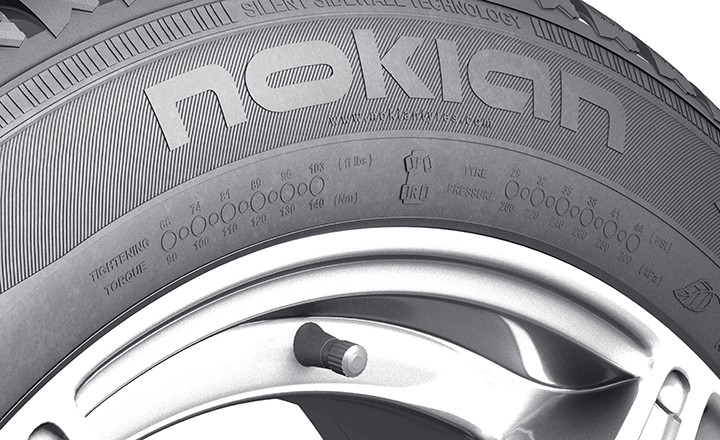 Correct tyre pressure makes the car's steering more precise, reduces tyre damage and saves on fuel costs.